NYC, 04/15/2019, 6:30PM. The Affairs of the Falcóns: Undocumented Woman Struggles To Keep Her Family In New York. As the pressure builds, Ana becomes increasingly desperate. While Lucho dreams of returning to Peru, Ana is determined to persevere in this new country. But how many sacrifices is she willing to make before admitting defeat and returning to Peru? And what lines will she cross in order to protect her family? 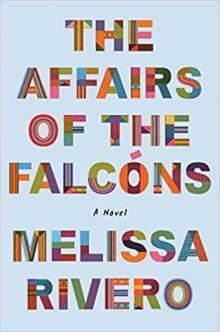 The Affairs of the Falcóns is a timely novel about the lengths one woman is willing to go to build a new life, and a vivid rendering of an American immigrant experience. Author Melissa Rivero discusses the importance of writing untold stories, her process, and how the novel sheds light on our current political moment.